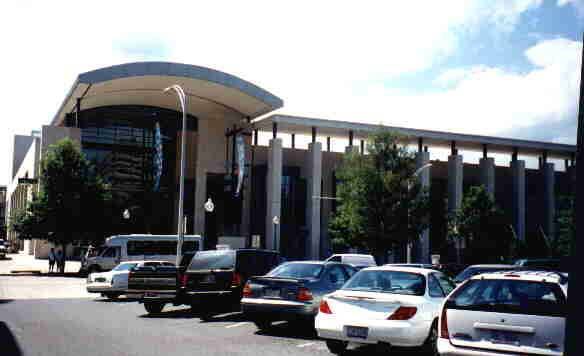 Charlotte Convention Center entrance on College Place. The Youth Hall at the convention. 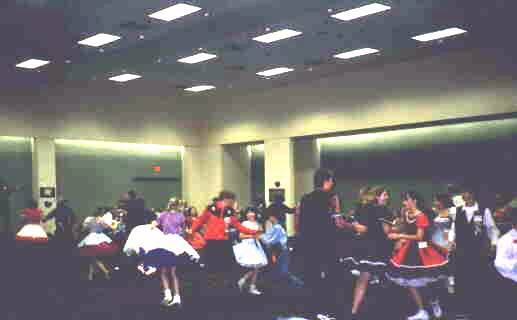 Yes folks, young people do square dance! 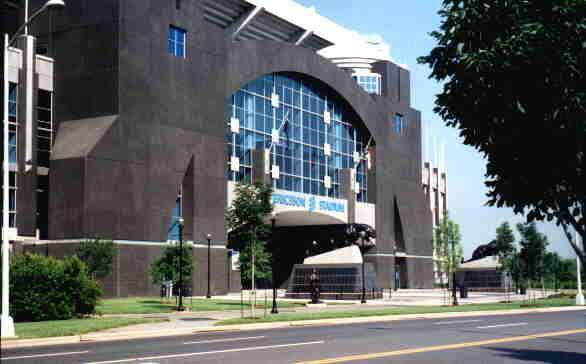 While in Charlotte, I went on tour of the city and the surrounding area. 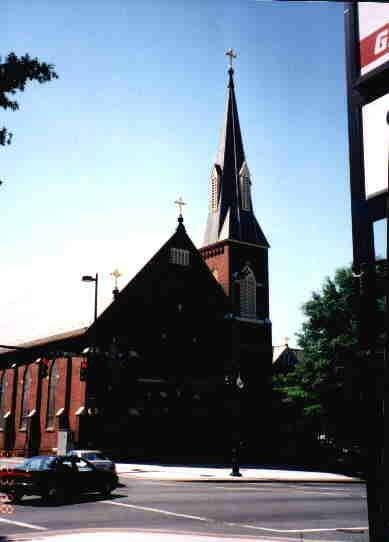 St. Peters Roman Catholic Church on North Tryon Street is 150 years old. It is the oldest Catholic church in Charlotte. 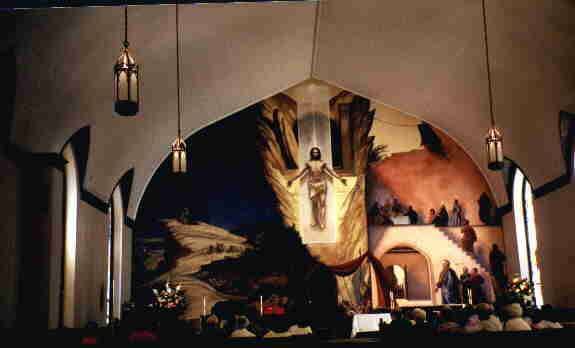 The fresco on the back wall of the Sanctuary is a story that pertains to different passages in the bible. A cruise on beautiful Lake Norman. 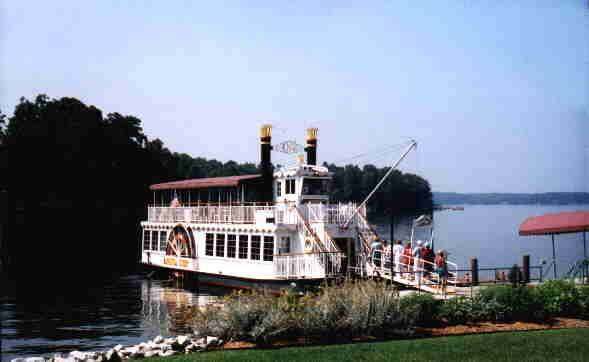 The Catawba Queen is a rebuilt side-wheel paddle wheel boat. 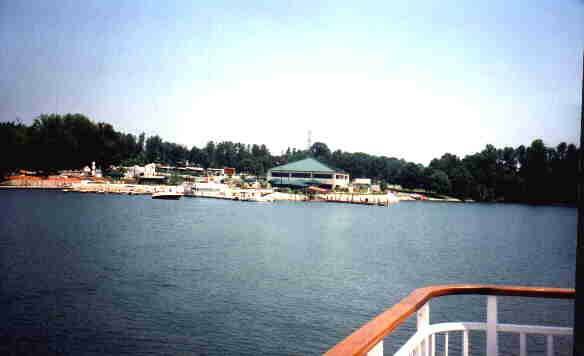 It takes people on a cruise on Lake Norman. Lunch was served on this outing. The Queens Landing dock has a souvenir shop and snack area beside the ticket windows. In the mid 1800's Charlotte was divided into four political wards. The NW Quadrant was called Fourth Ward. 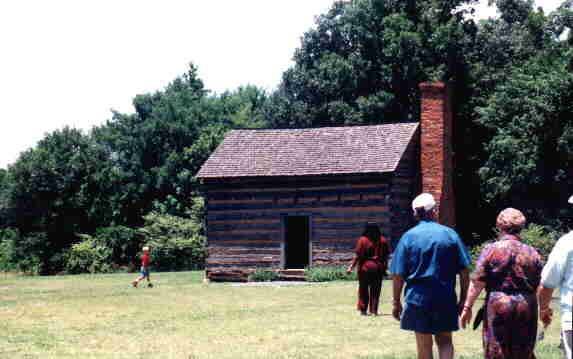 It was a prosperous area containing the homes of merchants, ministers, physicians and others. 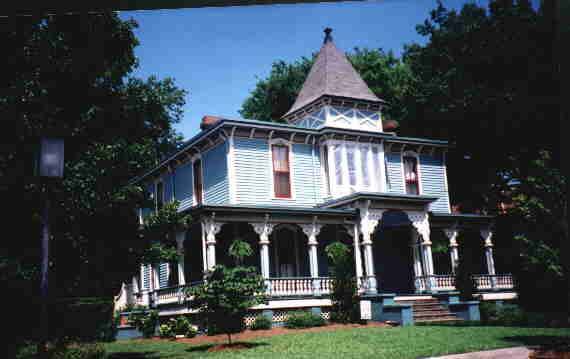 By WWII many of the homes were divided into small apartments and others had become boarding houses. 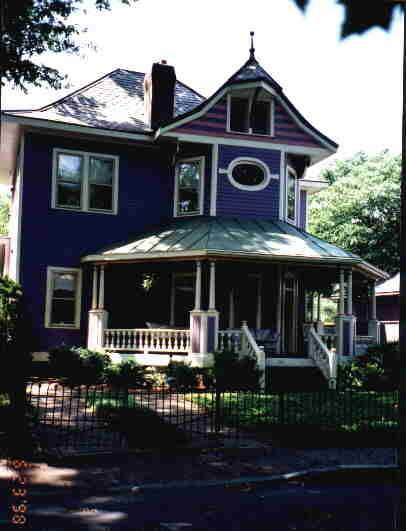 After the "boys" came home there was a need for training them and several homes were remodeled as trade schools. 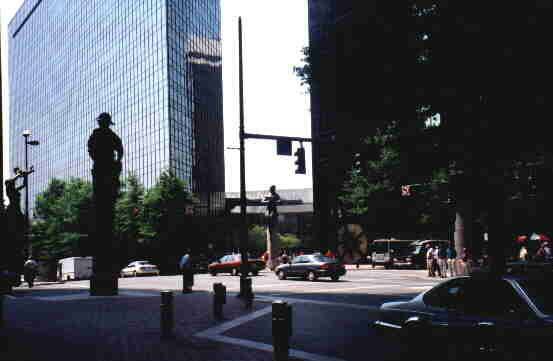 These four sculptures symbolize the beginnings of Charlotte North Carolina. A gold miner for Charlotte's commerce, a woman mill worker from our textile heritage, an African-American railroad builder for the city's importance as a transportation center, and a mother holding her baby aloft for the future. 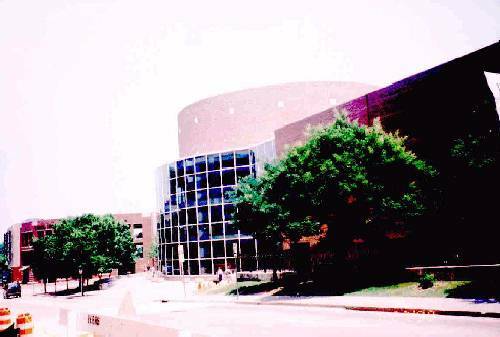 The sculpture in the right front corner is hidden by trees. 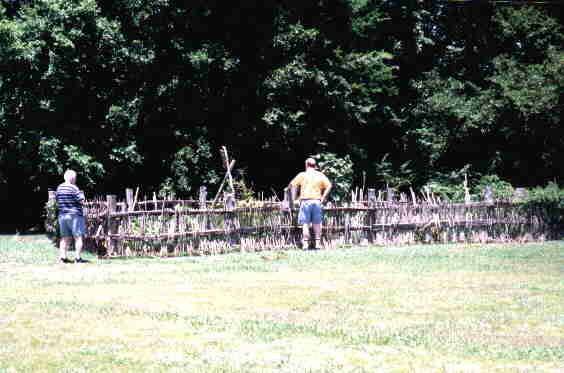 The garden Born in 1795 on the 400 acre farm worked by his parents, Jane & Samuel, James Knox Polk spent most of his childhood among the gently rolling hills of Mecklenburg County. A memorial to our nation's eleventh president is located on part of these lands. 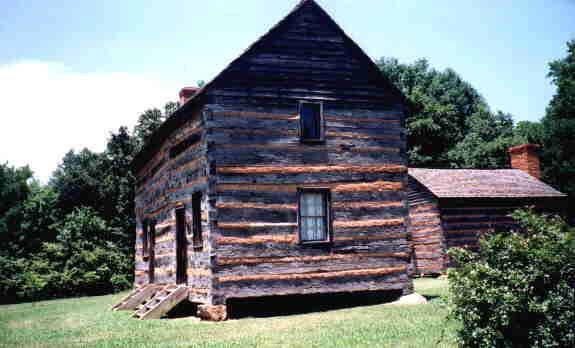 The log buildings and their furnishings are not original to the Polk homestead but are period pieces that date from the early 1800's.